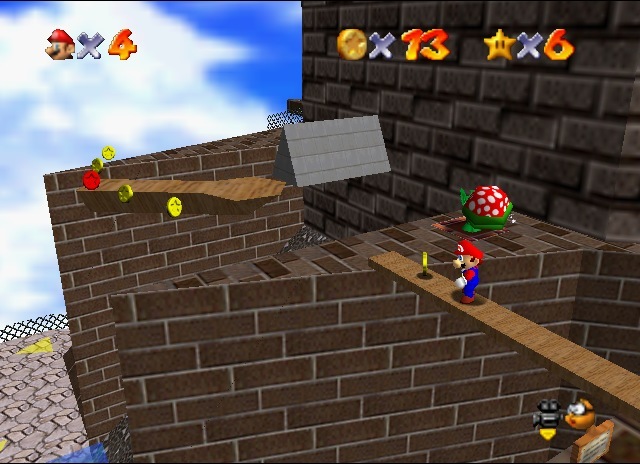 OverviewA landmark in videogames with 3D gameplay, Super Mario 64 set numerous standards for 3D platforming design upon its release. 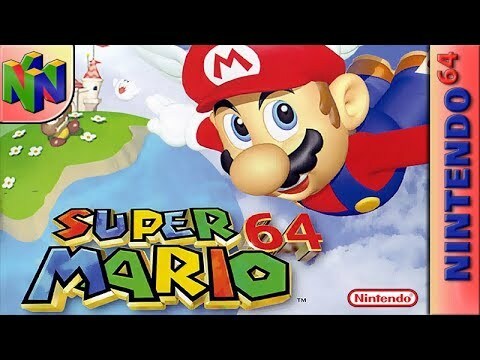 This is the BEST game EVER for the Nintendo 64! 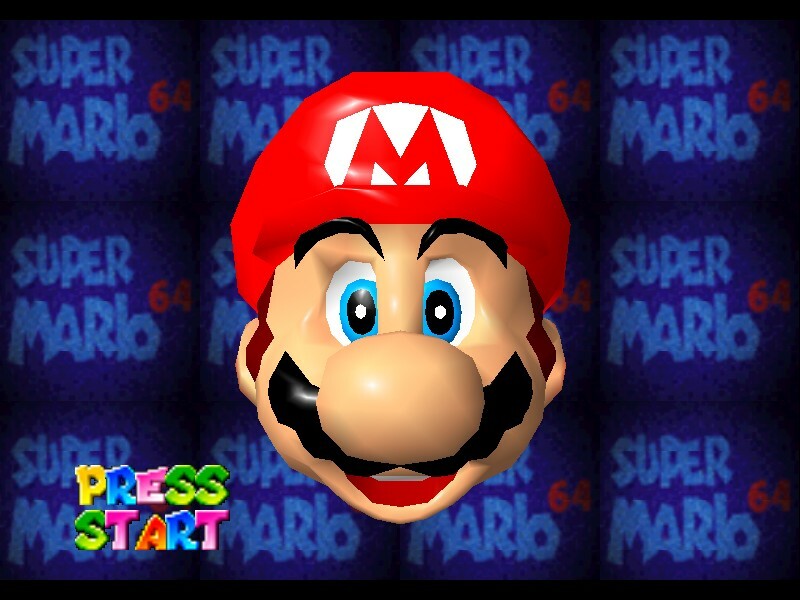 Super Mario 64 is the first fully 3D mario game. 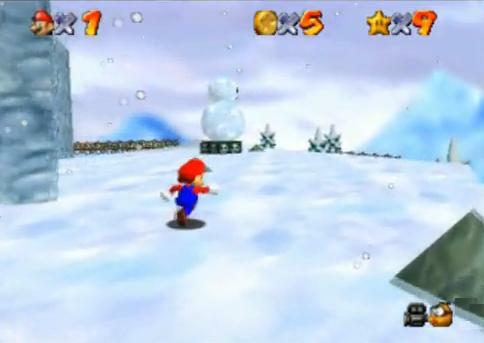 It takes place in and around Princess Peach's castle and you have to find and collect all 120 Power Stars. You play as Mario, and you adventure through each of the 15 worlds and 3 boss stages in your adventure to save Princess Peach from the evil Bowser. You don't need to collect every star to beat the game, but in order to unlock every secret, it's a must. You also get help through various magical caps that you unlock as you play, allowing you to become invisible and even fly! All in all, it's a very good game, though the camera work could do with improvement. I definitely recommend you play this game. 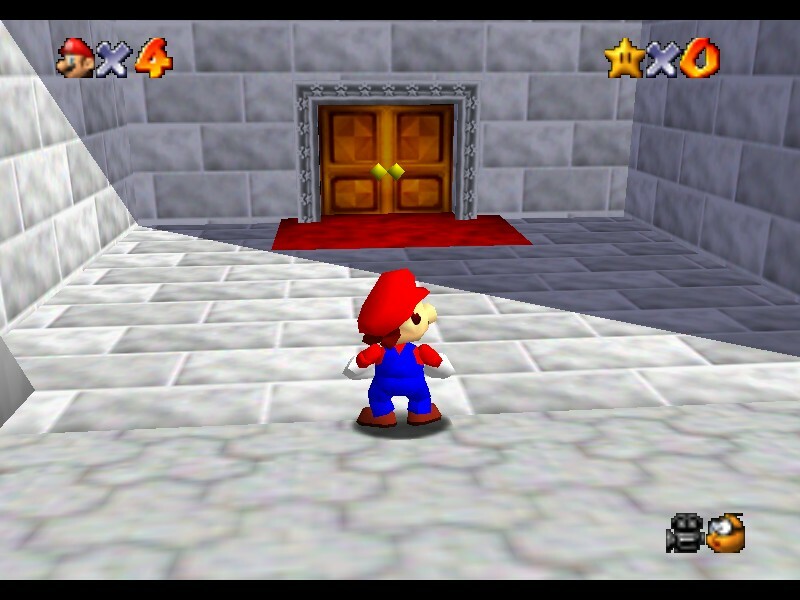 Super Mario 64 is juat epic. 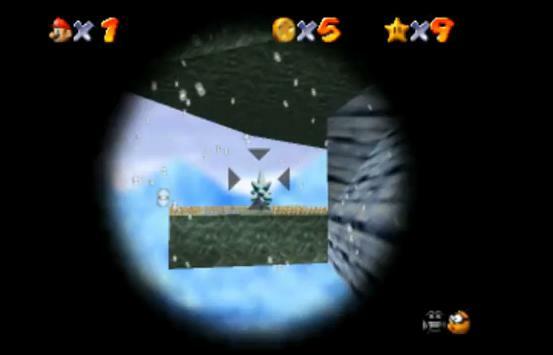 You play as Mario and Bowser has tookn all the stars from Peach's castle, and trapped evryone within the castle walls. There are about 15 corses and you must complete a mission to continue to the next one. 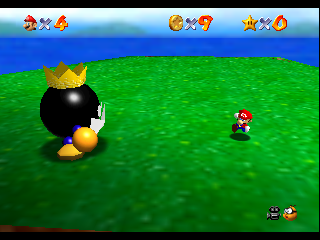 SM64 has good controls(the camera can go clunky at times) You can run, jump, punch, kick and lots more. 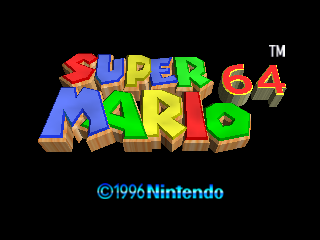 The levels are all masterpieces.� So give SM64 a shot, you won't be disappointed. Surely this game brought a lot of new concepts into plataform games, but it also brought a "plague" in my view,'Collectibles'.They are all right as extra features, but when you are forced to play a level again some times it can make the game boring.Anyway it's a great game that can give you hours of fun. 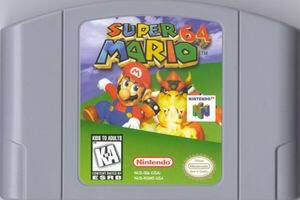 This was the first game that I ever played on the Nintendo 64. All I could say was WOW! This is definitely one of the best mario games out there. It's not very much like the original mario games. The world is in 3D, and that made a huge difference alone. 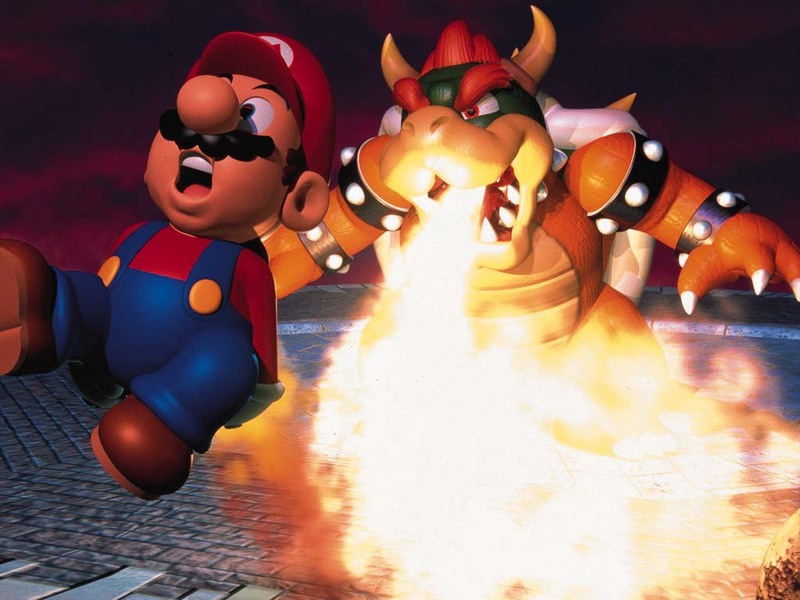 But the gameplay itself varied from all of the previous mario games, which made it that more exciting. There's tons of courses and in each one there are six stars to be obtained by doing various events in each course. 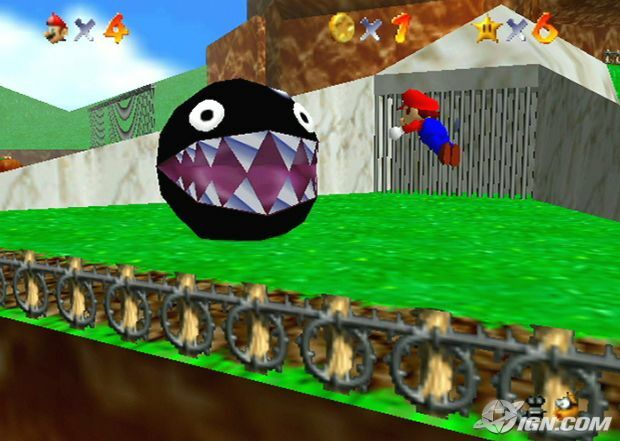 For instance, you could go into one course defeating the great bob-omb, and the second time you enter it you could search for the eight red coins. This feature keeps it lively and new each time you play. It's actually quite hard for this game to get old. I suppose it could eventually. But I've owned it for 12+ years and still enjoy it almost as much as I did when I first got it. Try it out - I assure you that you won't be disappointed! 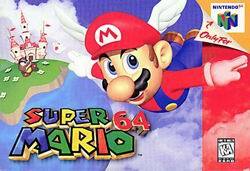 Read all 12 reviews for Super Mario 64 (USA) Submit your description for this title! Now you can add videos, screenshots, or other images (cover scans, disc scans, etc.) 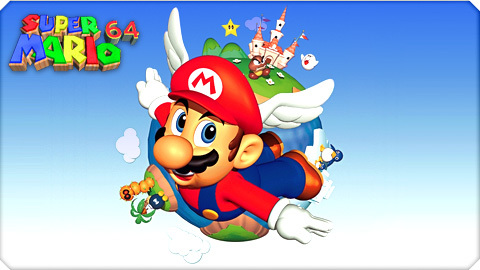 for Super Mario 64 (USA) to Emuparadise. Do it now!